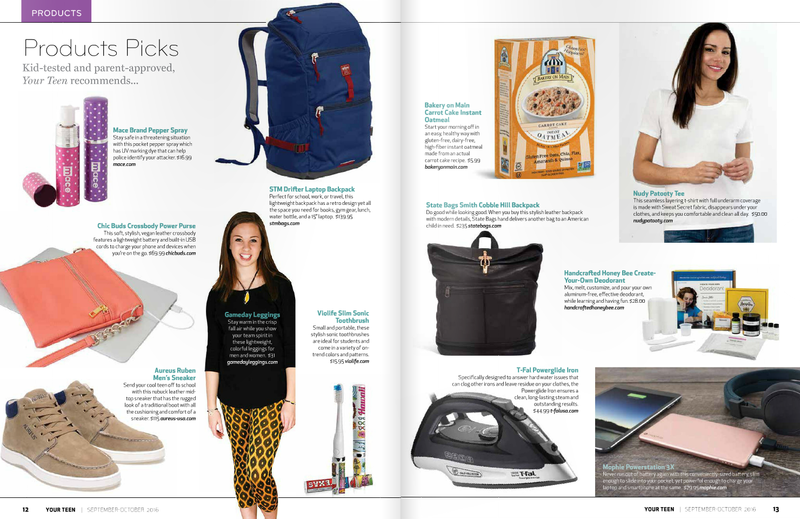 Congratulations to our Client Gameday Leggings and Nudy Patooty for their feature in Your Teen Mag! Are you ready to show off your team spirit? Gameday Leggings are here to take your game day apparel to the next level! Fashionable and versatile, Gameday Leggings are made with extra length to allow for easily dressing up jeans with a cuff of color. The breathable, lightweight fabric provides the ultimate weather barrier for both hot and cool temperatures. In short, these leggings are perfect for any occasion, on or off season. Check them out at gamedayleggings.com! Nudy Patooty organic bamboo undershirts for women have you covered so stains don’t happen. Instead you feel fresh and confident and your clothes stay clean. Lightweight and stylish, you can use them to layer underneath your favorite outfit without looking bulky. With Sweat-Secret Technology, beat the heat with these classic organic bamboo tops designed to keep your body’s temperature cool. Check them out at nudypatooty.com!